Sandstone Tiles manufactured by J.H. Wagner & Sons. Stylish and durable. 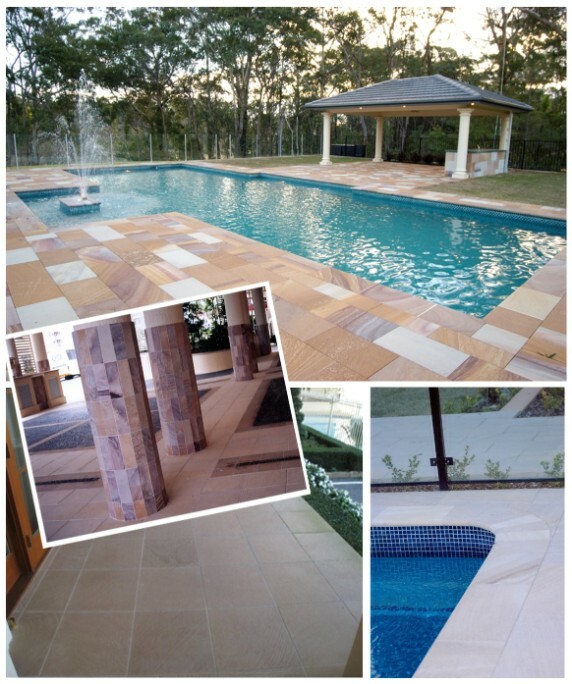 Sandstone Tiles can be used for floors or walls in both internal and external areas. Tiles are first diamond sawn on all surfaces to a square or rectangular shape and then honed to obtain a smooth, even surface. Smooth rubbing or honing is the smoothest of finishes. All select tiles are thicknessed to guarantee accurate installation. Select from our own stock or have tiles processed in your size and colour requirement. Standard sizes include 300mm x 300mm, 300mm x 600mm, 400mm x 200mm and 400mm x 400mm. Unfortunately we cannot recommend the use of sandstone tiles around salt water pools. For paving around salt water pools please view information on exfoliated Granite Pavers and Cobblestones. Please speak to our helpful staff to determine the correct Sandstone Tile thickness for your project.